The number of iterations and limited-release models of the Hublot Classic are creeping up on innumerable these days, though one particular model launched at Baselworld this past month caught everyone’s attention — even some far outside the world of horology. 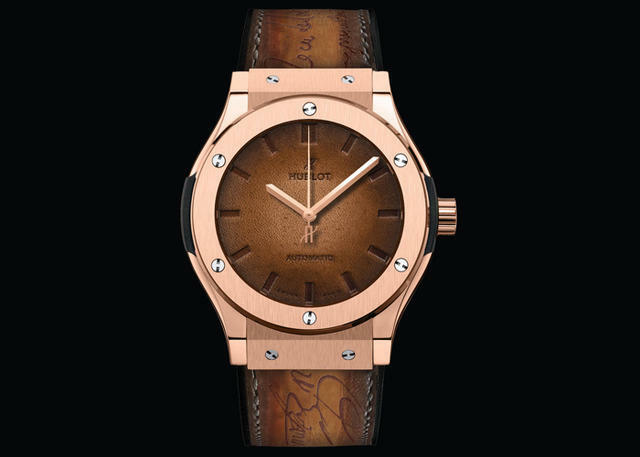 The Hublot Classic Fusion Berluti stopped many of us in our tracks for the simple fact that it is the first watch to debut with a leather dial, but there’s more to it than that. 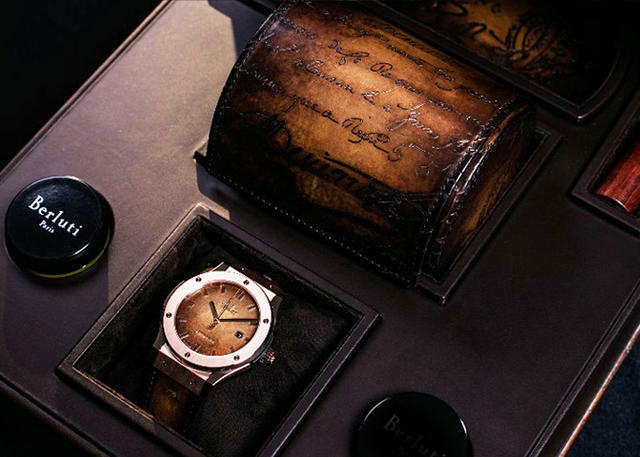 Seeing a watch brand teaming up with a shoe company is nothing new, but the idea of anyone being able to team up with Berluti to craft anything other than their own signature leather goods is more or less unheard of. The legendary shoemaker — whose roots date back to 1895 — only started producing other leather goods in 2005, and has only been in the clothing business since 2011. History lessons aside, those who know Berluti’s shoes know how spectacular they are, and to bring that brand DNA to a watch, well, you pretty much have to do it perfectly. Question is, did they get it right? In that respect, the Scritto is an exercise in Berluti tradition from the strap right through to its ornate display box. One of the brand’s signatures is their ornate script etching into leather — a tribute to old-world calligraphy. 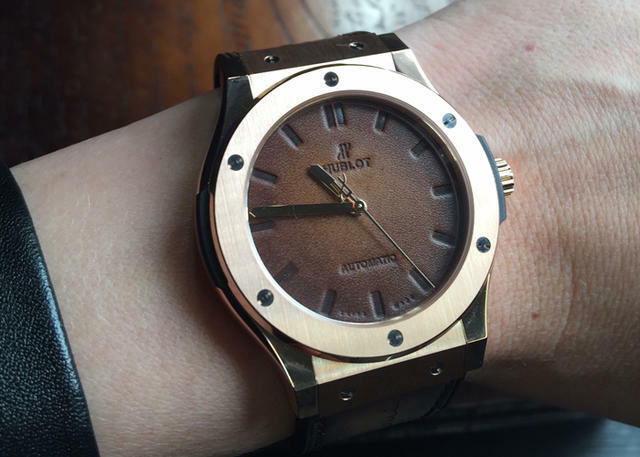 Any Hublot Classic Fusion in King Gold is in no way subtle or under the radar, but adding this Berluti etching into their leather strap is the kind of thing that will make anyone interested in fashion stop you in your tracks and grab at your wrist. If you’re on the hunt for a watch with some serious eye-catching abilities the Scritto will do this all day long. The other interesting bonus with the Scritto is its previously-mentioned presentation kit. Both models come with an exquisite leather-clad box that includes a few leather care goodies, the All Black’s box is just that — all black — whereas the Scritto’s is covered from corner to corner with more scriptwork etching. Anyone who balks at the relatively high sticker price when compared to a standard Classic Fusion King Gold need only look at the incredible amount of time required to hand tool each last bit of leather you get when buying the Berluti Scritto version. So clearly the Classic Fusion Berluti is a resounding victory in the visual department, and after having a few brief moments with it on the wrist it does wear as comfortably as any other Classic Fusion (though no different due to its strap being rubber-backed), but its initial release left us with one major question — What does a leather dial mean for service life and longevity? Anyone with half a brain know that leather left untouched and exposed to UV over an extended period of time is prone to drying, cracking, and generally beginning to disintegrate. We also know that leather will expand and contract at different rates than any other solid material it can be bonded to such as a dial backing plate. 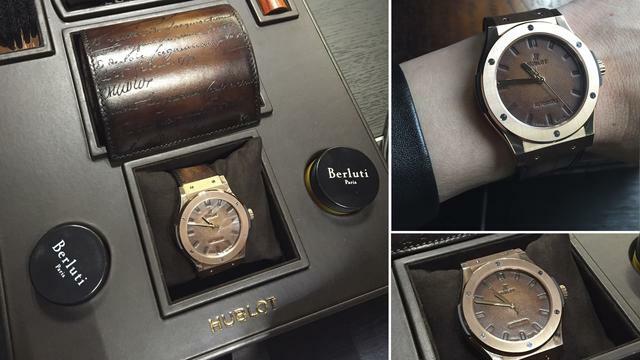 Hublot has assured us that its Berluti Venezia leather dials went through the same rigorous testing process that any of its other dials in the past, and they are confident in their longevity. As skeptical as the lead-in sounds, if anyone can figure out a way for leather to last through the ages it’s Berluti. On one hand, we may learn of a slightly different service and care ritual that applies only to the Berluti dials. On the other hand, the watch enthusiasts (myself included) with a soft spot for patina may be in for a real treat. As leather ages, there’s a good chance that its color will shift rather beautifully. 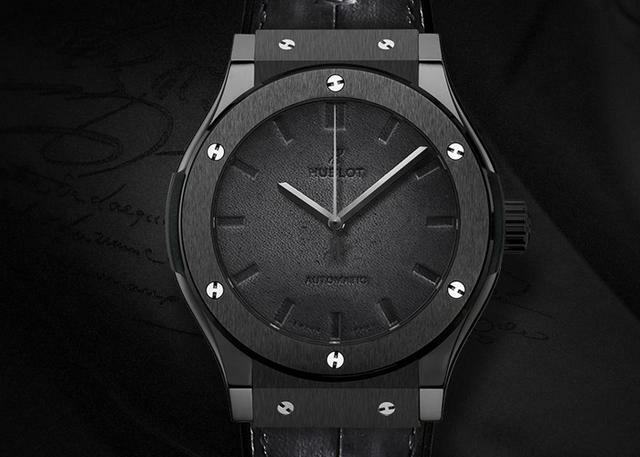 No matter how you slice it, the Classic Fusion Berluti is one of the coolest things that Hublot has concocted recently, and I’d love to get my hands on one (with the matching Berluti shoes, of course).